The following information is correct as at 1st December 2009 and is updated on a regular basis to ensure it is always current. Obviously there are a number of steps you need to take before getting the freedom of driving a car, motorcycle, bus, lorry or for that matter any vehicle propelled by a motor on public roads. Some of these steps are going to be easier for some than others, but this should not put you off, most people who start learning to drive will achieve their goal. 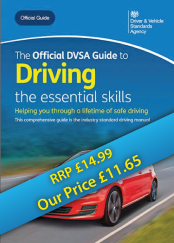 You will need to obtain a provisional licence from the DVLA, you can either apply online or by obtaining a driving licence application form from a Post Office. Generally speaking the minimum age for learning to drive a car is 17, however there are exceptions for different categories of vehicle and also for those receiving certain benefits. 1. Buy your own car, make sure it is roadworthy, put on some 'L' Plates, get it insured and taxed and ask a friend or relative to help you out by sitting along side you. However this person must be over the age of 21 and must have held (and still hold) a full licence, in the relevant vehicle category, for three years. You must not pay anyone other than a professional driving instructor to either teach you or sit alongside you whilst you are practising. 2. Use someone else's car, a friend or relative maybe, make sure it is insured for you and ask someone to accompany you, again that person must be over the age of 21 and must have held (and still hold) a full licence, in the relevant vehicle category, for three years. And of course you must not pay anyone other than a professional driving instructor to either teach you or sit alongside you whilst you are practising. 3. Employ the services of a professional driving instructor. 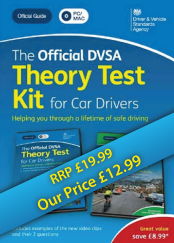 Recent surveys indicate that nine in ten learners who passed both theory and practical tests first time were taught by an instructor. A fully qualified approved driving instructor (ADI) must display a green certificate on the windscreen of the car while teaching you. 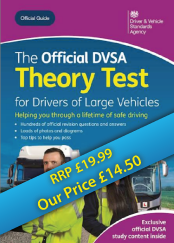 Some trainee driving instructors are granted a licence so they can gain experience before their qualifying examination. In this case, the trainee driving instructor must display a pink certificate on the windscreen. 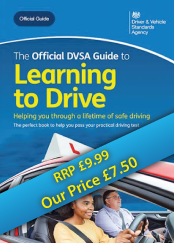 Officially known as an ADI(Car) a driving instructor will be able to guide you through the whole process of obtaining a licence and should give you more coinfidence to deal with each stage of the process. 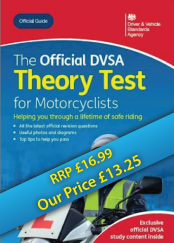 LGV/PSV and Motorcycles follow different learning structures, and each category has it's own dedicated instructors such as ADI(LGV), ADI(Motorcycle) and various procedures that are unique to each class. 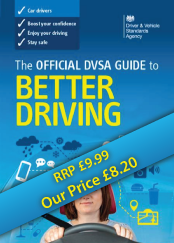 Why is it best to use an ADI to help you get your licence? If you needed to replace your central heating boiler you'd get a qualified and registered 'Gas Safe' plumber to do the job, obviously because it would be dangerous to start getting relatives to try and fit one and you could end up dead. Learning to drive with someone who is not trained to professional standards could have the same deadly consequences. As already mentioned an ADI is a professional, he or she is monitored by the DSA to ensure they are teaching to the correct standards. With an ADI you will learn skills and techniques that the average driver either does not have or finds difficulty in putting accross to you. Instructors displaying this badge are fully qualified. Instructors displaying this badge are still undergoing training. 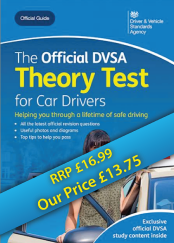 Choosing the right instructor and car for you is crucial, get recommendations from friends and relatives, have a trial lesson to see how you both get on with each other, be cautious about paying for large blocks of lessons unless you are confident you have found the right instructor and tuition vehicle for you. If you are not happy, don't put up with it. Go somewhere else.